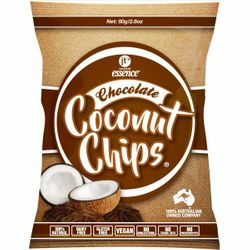 JT's Essence Chocolate Coconut Chips are baked and not fried to give the perfect crispy bite every time without the guilt. 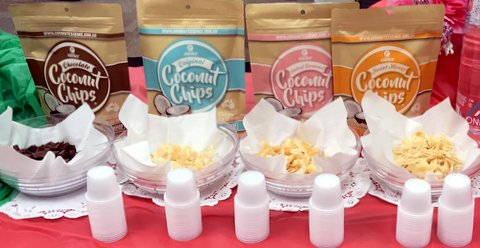 JT's Coconuts are sourced from the best coconuts Thailand has to offer. 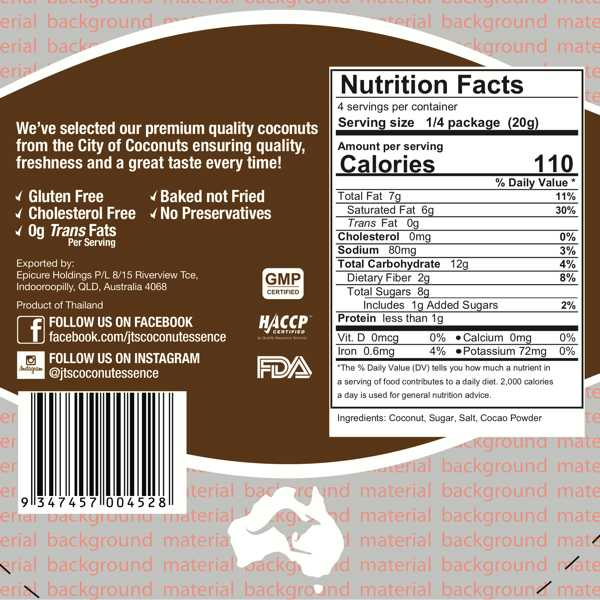 We only use only the best coconuts, which are carefully selected to ensure optimum product quality. Coconut chips are full of healthy fats that fill you up with nourishing energy. Rich in fiber, vitamins and minerals they are extremely nutritious. It is the richest source of medium-chain triglycerides (MCTs). MCT's are burned for energy and they do not circulate in the blood stream like other fats. Instead, they are sent straight to the liver and converted into energy. Since the body does not store the fat, eating coconuts and their oil can help with weight loss. High in Antioxidants, Minerals, Caprylic & beneficial Lauric Acids.